Is your business really a business or is it a hobby? Making a profit should be a basic fact of business, but what if you aren't making a profit? Can you still deduct your business expenses? What if you make a small profit but your overall deductions amount to more? Can you still claim them? Yes, sometimes...if you can convince the Internal Revenue Service that you're conducting your business with the expectation that you'll eventually turn a profit. In other words, you might have to prove that it's not a hobby if you're not making a profit. Several factors help to determine whether you're engaging in a business for profit. As described in a recent tax court case, the taxpayer was running an athletic coaching business, and he had not earned a profit in the first eight years. This was largely due to the fact that he incurred many expenses while traveling around with elite athletes. The IRS said that his business was "not engaged in for profit." According to the IRS, the business must have a "predominant, primary, or principal objective of realizing an economic profit independent of tax savings" in order to have expenses allowed as business deductions. The purpose of the business should be to make a profit, not just to reduce your personal taxes. The IRS looks at several factors, including profitability, to make its determination. No single factor is controlling. They're weighed collectively, all together, to form an overall picture of your business. The IRS' determination will be based on this overall picture. Is the business carried on in a business-like manner? Are good business records kept? Are business and personal expenses kept separate? Do you depend on the business's earnings for your livelihood, at least in part? Do you have expertise in the field of your business or do you have expert advisors? How much time is spent in this activity? This doesn't necessarily mean that you must dedicate full-time hours to your business, although that would be helpful. You must invest a reasonable amount of time toward making a profit. A business you work at only a few days a month would look more like a hobby than a business. Have you been successful in similar or other activities? If you've even been successful at another business that isn't similar to your current business, it shows that you have expertise at running an enterprise and you're likely to be profitable eventually. What's the business's history of income and loss? A continuous string of business losses with no years of profit can be a negative factor in the determination, particularly if you haven't made changes to your business to try to avoid losing money. Even one profitable year shows an intent to make a profit. Can you show that the expenses you incurred were used to further the business's profit and not just for your own enjoyment? Many travel expenses might be necessary, but you would have to prove that. Expenses for materials for products you sold are a better indicator of your intent to make a profit. The blanket IRS rule is that you should have earned a profit in at least three of the last five years if you're running a business, but if you haven't achieved that, these other factors can be considered. It's two out of seven years if you're involved in horse racing, training, or breeding. In our tax court case example, the court found that even with the negative factor of no profits for eight years, the business's losses were decreasing and the potential for success was improving. It determined that the business was formed with the intent to make a profit. What's Deductible If You Do Have a Business? 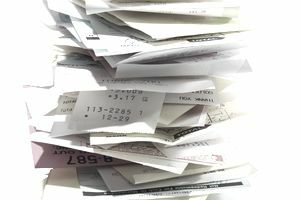 The Internal Revenue Code says that business expenses must be "ordinary" and "necessary" to be deductible. This generally means that most people in your business spend money on the same expenses, and that the expenditures help you to engage in business and make a profit. "Help" is the key word here. The expense doesn't necessarily have to be vital to your business. It must simply assist you in eventually turning a profit. What happens if the IRS decides your business is not a business and classifies it as a hobby? You can still claim deductions associated with it, but only to the extent of the income you've earned from it in that tax year. For example, if you spent $10,000 breeding dogs and you sold the puppies for a total of $5,000 over the course of the year, your deduction is limited to $5,000. You can effectively dodge paying taxes on your earnings by deducting an amount equal to those earnings if you spent that much, but you can't use the excess to whittle away at other taxable income as you could with business expenses that result in a loss. Every case is different and a similar case might have enough differences to result in a different ruling from that in our example. The intent of this article is to explain the factors reviewed by the tax court in these types of cases. If you have questions about your business profits or a specific IRS or tax court case, please consult your tax advisor.